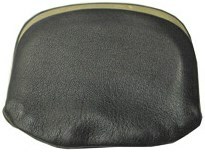 Large coin purse for use with magic coin routines. Leather. Size: 2 3/4 in. x 2 in.